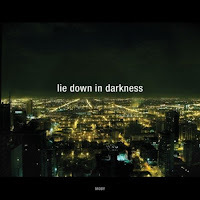 Quirky NY Chick: Video of the Day: Moby - "Lie Down In Darkness"
Moby recently released a video for his latest single, "Lie Down In Darkness ." The video was directed by UK filmmakers Institute for Eyes and was shot in London last month. The single, which was released this week, is from Moby's latest album Destroyed. Check out the video at the bottom of the post. "Lie Down In Darkness" was directed by Luke Seomore and Joseph Bull (Institute for Eyes) and shot in London last month and is influenced by the life of Russian astronaut Yuri Gagarin. Check out the “Lie Down In Darkness” Behind The Scenes clip for a conversation between Moby and the video’s Directors about making this video. Moby’s new single “Lie Down In Darkness” is out now! The digital only remix bundle comes with the original album version along with an array of remixes including Paul Van Dyk, Photek, and Michael Mayer, in addition to others. An achingly soulful track of sublime melancholy and symphonic grandeur “Lie Down In Darkness” is taken from Moby’s most recent studio album, Destroyed, out now.